I can’t remember what I was doing in the second week of April this year, but I’m pretty sure it wasn’t painting a gigantic mural on the side of a Perth city building. You’ve probably seen some of the works around the city, and you can go it alone with this map from Form, but if you want to explore the street gallery with an expert, try the Public Urban Artwalks. 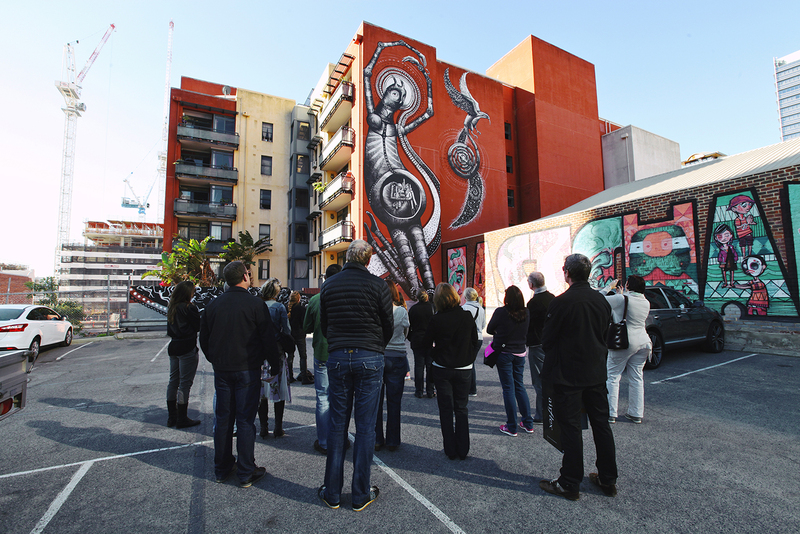 You’ll be taken on a tour of the streets with a guide from Form – a walk that includes a stop at a resident artist’s studio, and a complimentary drink at a local bar – and you’ll also receive a map, so that you can impress your friends later with your insider knowledge of Perth’s urban art. The walks run every Thursday and Saturday afternoon until the end of November – book ahead by contacting Form to avoid missing your preferred time.